This is made from a vinyl (plastic) sheeting. 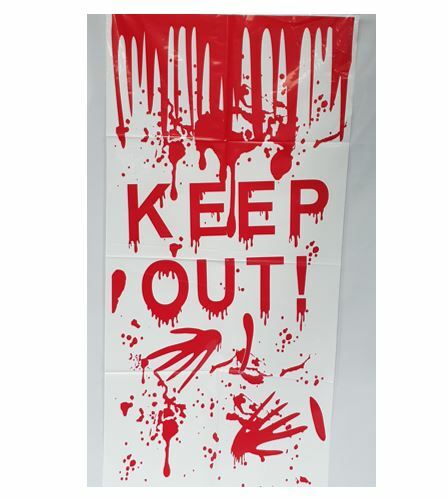 It shows a blood dripping, bloody hand prints and the words KEEP OUT. This could be used on any sort of door. Would you want to even try going in there?